Everyone has their own traditions and family recipes when it comes to Christmas and the holidays. 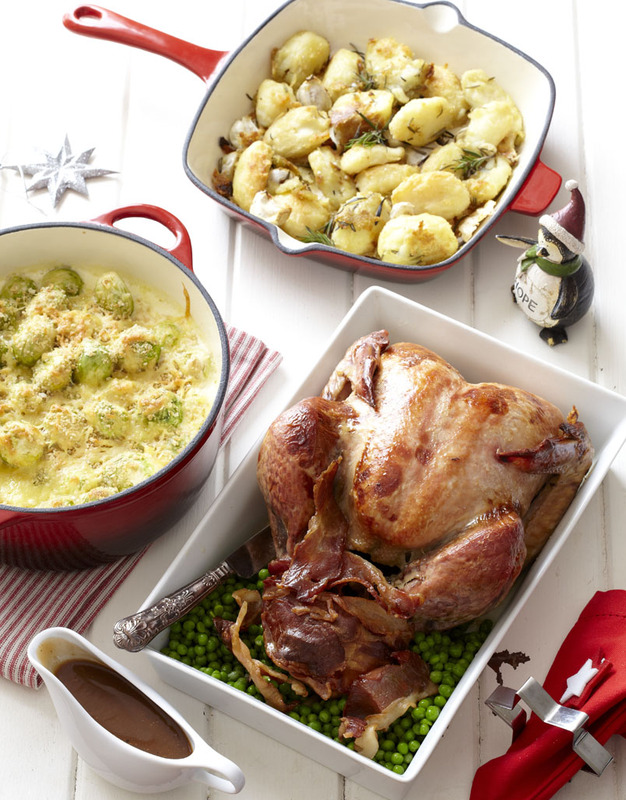 But if you're looking to try something new or you're trying your hand at cooking Christmas lunch for the first time, here are some of Club's favourites. 1. To make the pastry, cream the butter, sugar and ginger in a bowl. Add the flour and mix until the mixture resembles coarse breadcrumbs. Add the eggs and vanilla and process until pastry comes together. Turn out onto a work surface and bring the dough together quickly with your hands. 2. Divide into two portions and flatten slightly into discs. Wrap in plastic wrap and put it in the fridge for one hour. 3. Preheat oven to 180ºC. 4. Place the apple, water, currants, sultanas, almonds, sugar and butter in a medium saucepan over low heat and cook for eight to ten minutes, stirring occasionally, or until fruit is tender and liquid is absorbed. Set aside to cool completely. 5. Roll out one portion of pastry to three milimetres thick. Line a lightly greased 22cm round baking dish with the pastry, trim the excess pastry and prick the base with a fork. Refrigerate for 10 minutes. 6. Line the pastry with baking paper, fill with rice or beans and blind bake for 10 minutes. Remove the paper and bake for a further five minutes or until golden. Fill with the fruit mixture. 7. Roll out remaining pastry in the same way and use a star-shaped cookie cutter to cut out shapes from the pastry. Top the tart with the stars. Brush with egg yolk, sprinkle with sugar and bake for 25–30 minutes or until light golden. 8. Allow to cool and remove from dish. Dust with icing sugar. Add a creative touch to your holiday meal. Time to celebrate: planning your day.